“Affair between you and me” is in art display based on “Un Point” picture book that was published in July 2015. Its main message is “yourself as you are”. 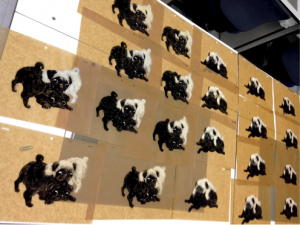 “Un Point” - a picture book consisting of series of paintings, a story of two sleeping dogs – black and white pugs was adapted as a interactive video installation. 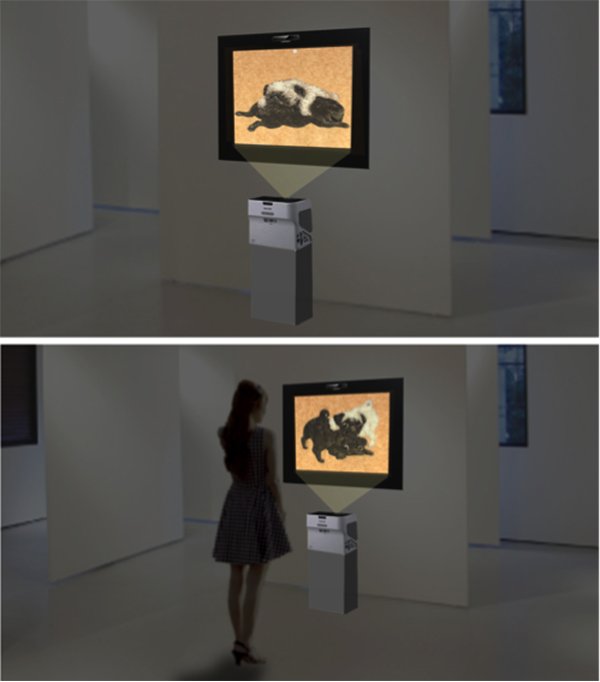 When the viewer approaches the installation, dogs notice the presence and react in various ways. The installation main concept is: a painting that communicates with its audience. The concept of the book is used as a basis for the animation. 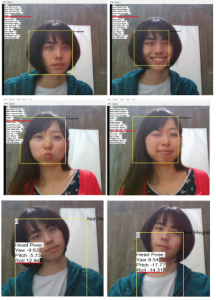 To achieve the real time interaction, a sensor camera “BLASTERX SENZ3D” was used. Both video and sound is used to create communication with the viewer. The goal of the installation is to create a feeling of relief and healing through communication with the painting.